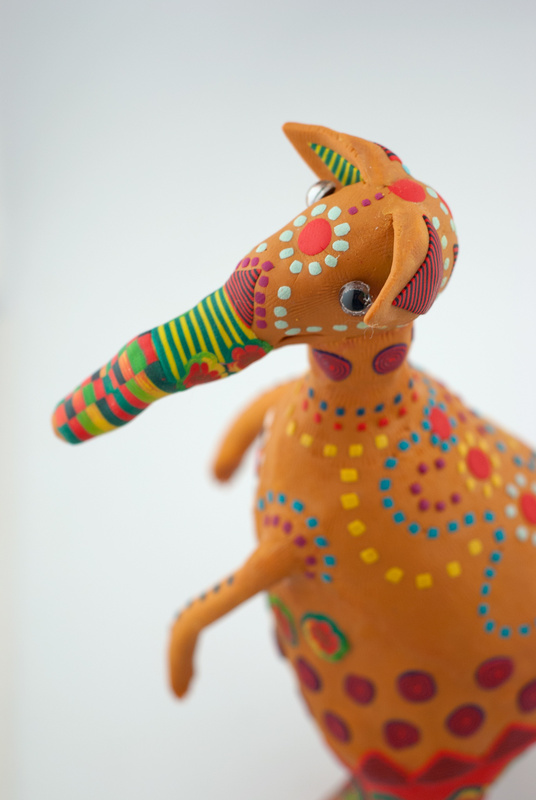 What would happen if last week’s elephant met up with a kangaroo? 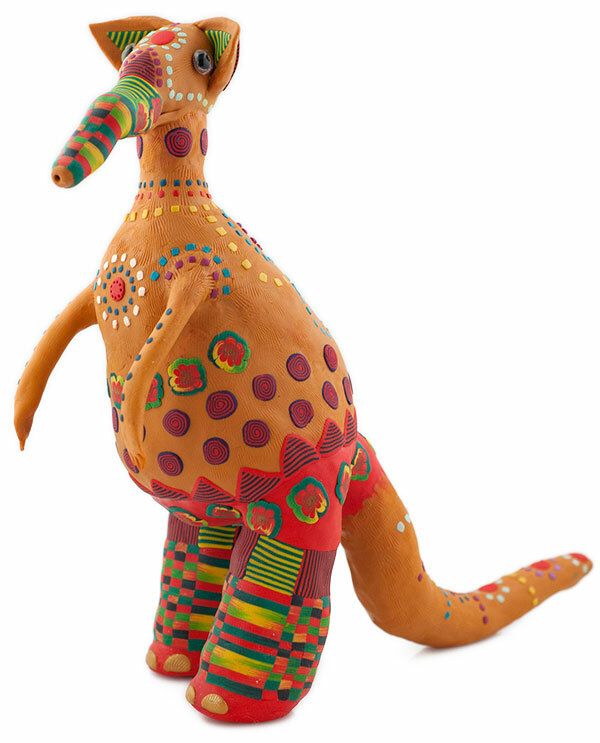 In Susan Hyde’s mind we’d have a Kangarat/Eleroo like this 10″ one she’s constructed from polymer. Susan has joined a gallery in Bremerton, Washington. For poetry month, she and her fellow artists illustrated poems by local poets. The one Susan chose, The Bainbridge Zoo, chronicles an elephant and kangaroo affair. 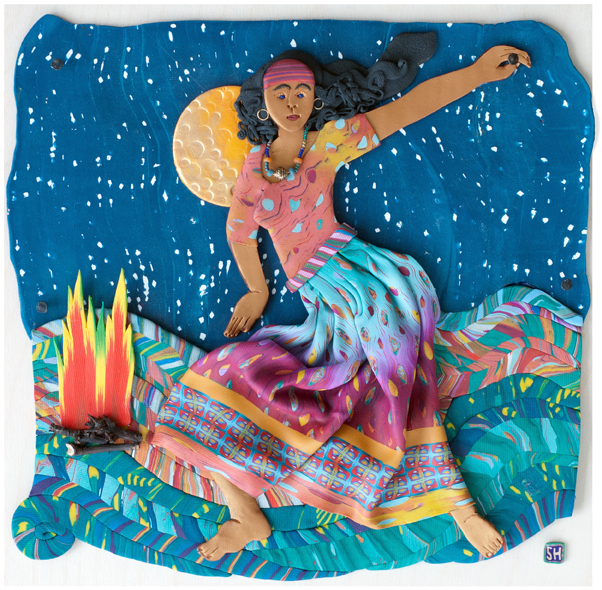 Another poem called Gypsy inspired this 12″ piece filled with the great polymer fabrics that Susan is known for. Here’s her old fabric tutorial that I have to drag out again because it’s my favorite. While musing about why some crescent moon pendants, that I’d just listed (and sold) on Etsy, were so very transparent, I began to suspect what I’d done to make that happen. I did a “science project” tonight and found a baby simple way to make “Premo Frost Translucent” almost transparent. Read my blog post, “While We Wait for Pardo”, at http://ladyflowersbysusan.wordpress.com/2013/04/12/while-we-wait-for-pardo/. There is a great photo that illustrates this on the blog.